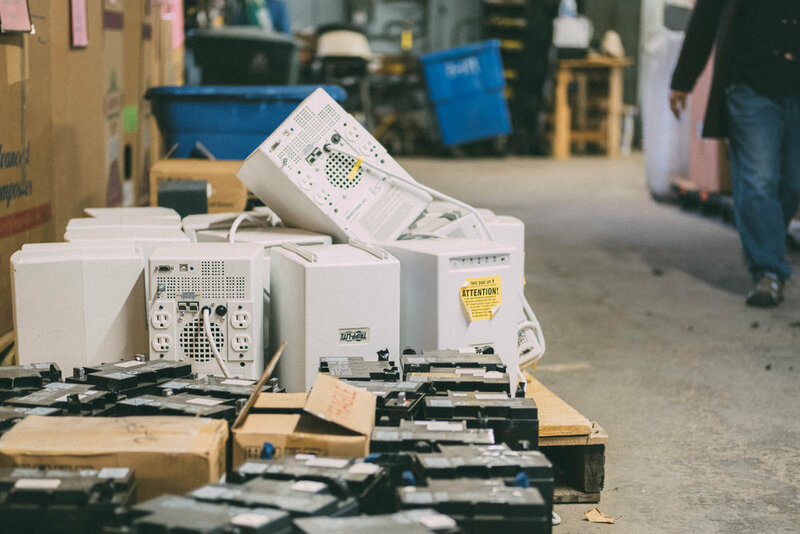 Lamps, bulbs, batteries, and e-waste (discarded electronics such as computers, TVs, and cell phones) are among the items brought daily to our Center by small businesses looking for a convenient place to responsibly dispose of materials. We recommend that all small business customers wanting to drop materials off at our Center call us prior to arrival to ensure a smooth and timely receiving process. New customers will need to set up an account prior to unloading, which can be done over the phone or in person. For more information about our, or to schedule a Drop-Off, please call us at 214.566.3025 or leave a message here.